In the dark, Viola sees things no one else does . until the night she sees something she shouldn't. Would you take the money and run? Viola was born with a genetic condition that makes sunlight deadly. In the dark of night, when most teenagers are tucked up in bed, Viola has the run of her parents' farm and the surrounding forest. 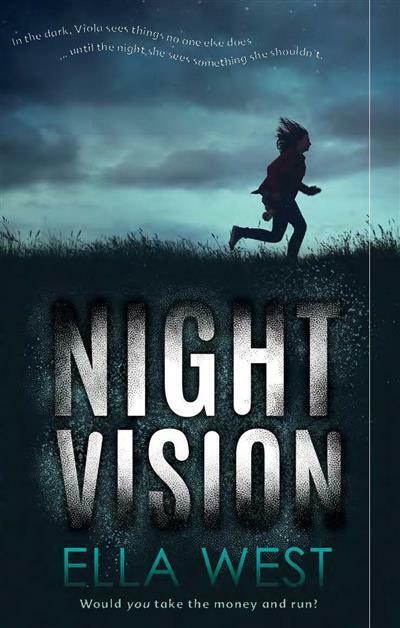 She is used to seeing hidden things through her night-vision goggles, but one night she sees something that could get her into a whole lot of trouble. Viola has always believed she would be dead before she was twenty, but now she must decide just how far she's willing to go to help her parents keep their beloved farm. Is it okay to steal from a thief? What if the thief might be a killer? And what if the killer threatens to come after her and her family? A heart-thumping thriller that will leave you breathless.